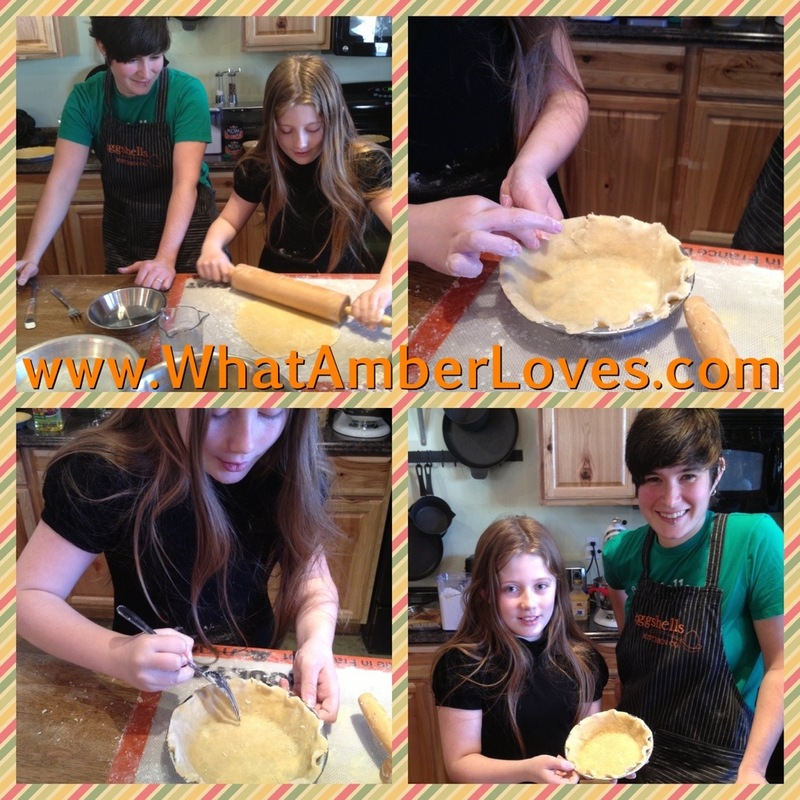 We improved our pie crust making skills today at Eggshells Kitchen Co.! Earlier this week, I would have told you that I was spending Saturday morning at an organic gardening seminar, but it has been re-scheduled until March. 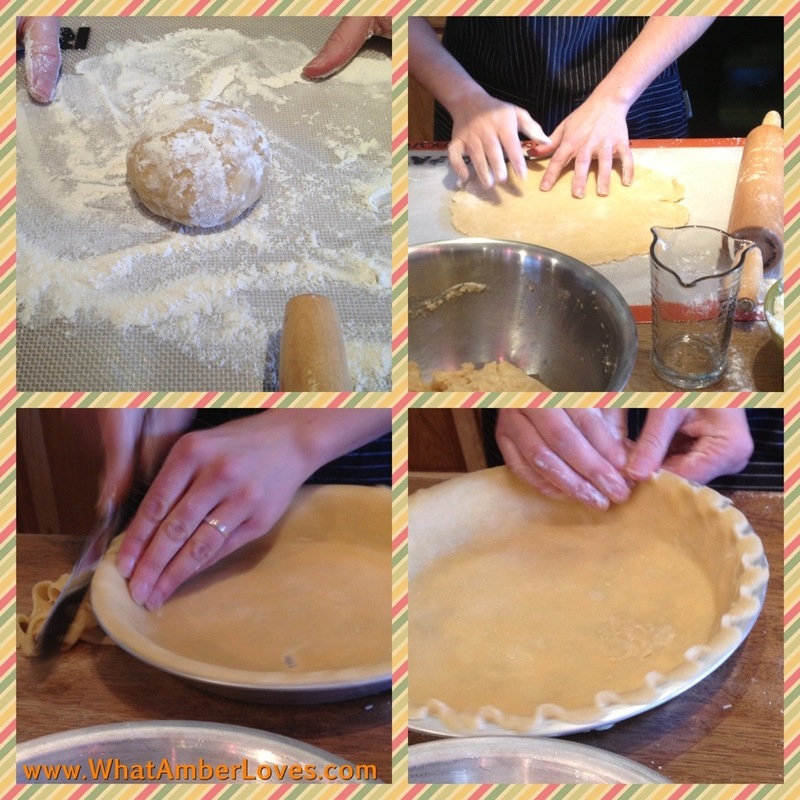 Not wanting to waste an opportunity to spend a Saturday morning learning to do something fun with my two oldest daughters, we jumped at the chance to attend a Pie Crust Basics class at Eggshells Kitchen Co., here in Little Rock. We’re so glad we did! It was a great class, our first time in the store, and we’ll definitely be back! Want to know what we learned? I’ll do my best to tell you! See photos as well! Recently, I had been using pre-made frozen pie crusts and refrigerated pie crust dough because I just wasn’t really happy with my crusts. Now, I see where I was going wrong!! 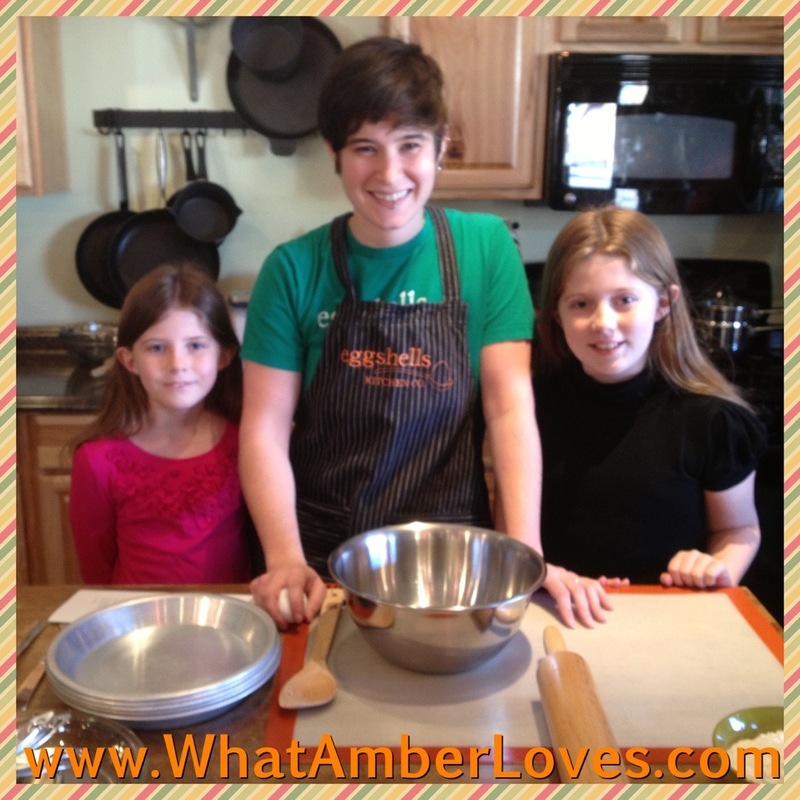 For starters, in the past I was mixing my dough too dry and it was crumbling as I rolled it. Today, we started with a much moister dough, and because we were constantly adding flour to roll it, flip and add more flour to roll it, flip and add more flour to roll it, repeat 8-12 times, the finished dough was perfect! until it is translucent and large enough to cover pie pan. Transfer into ungreased pie pan and press into the bottom crease. Trim excess from top edge. 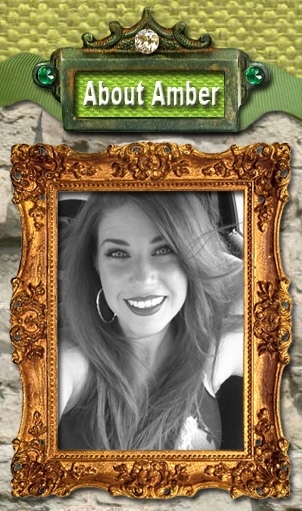 Using thumb of one hand and index finger of the other hand, create a decorative edge! Poke holes with a fork to prevent air pocket bubbles when baking. After a demonstration, we were given an opportunity to try it! While other women attending the class jumped in to try, so did my oldest daughter! She’s only in 5th grade, but did a GREAT job. I’m confident we can repeat the process at home, now that we’ve had training by a culinary genius! 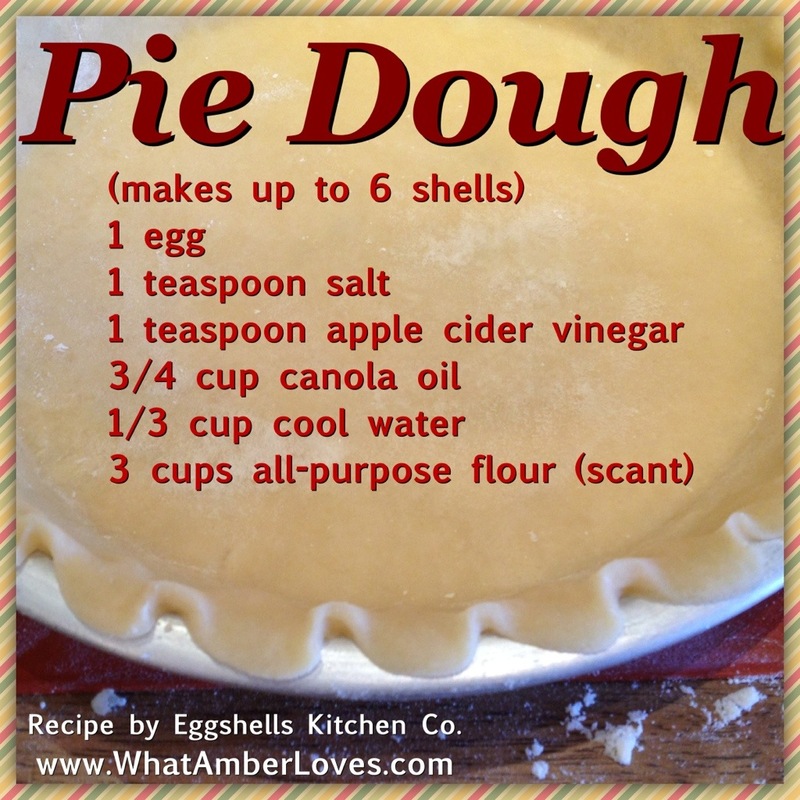 Eggshells Kitchen Co. is hosting pie classes every Saturday during the month of February, 2013. 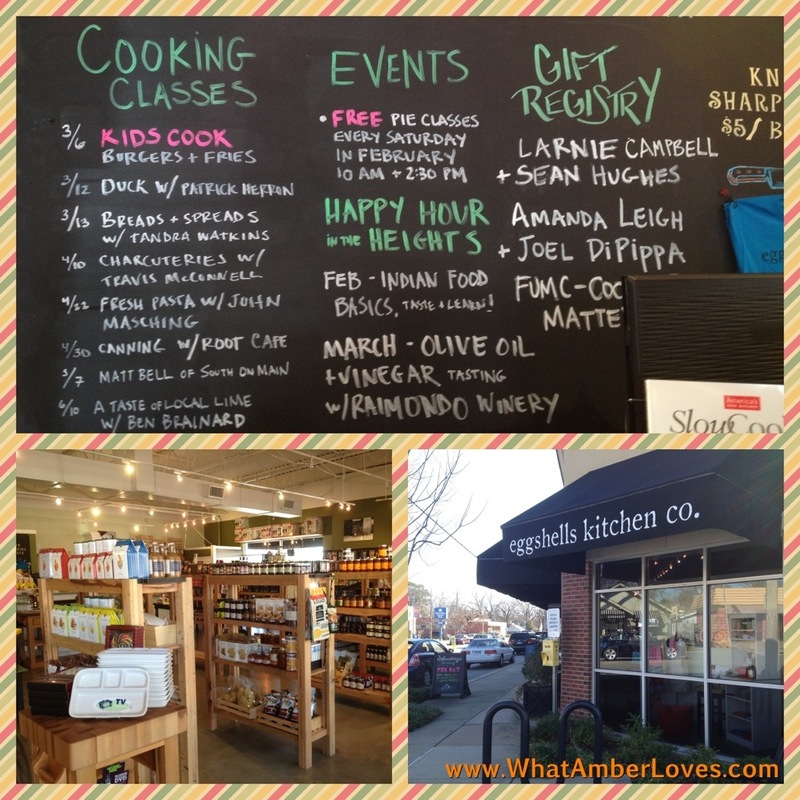 They also have lots of other classes scheduled on their board, a beautiful store stocked full of every gadget and utensil you could dream of for your kitchen, and a great selection of sauces, pickles, spice blends, and more! Stop by there! Remember to shop local, the sense of well-being is free. But, if you’re not local, you’ll enjoy their online store as well! You’ll be glad you did! We loved the experience!